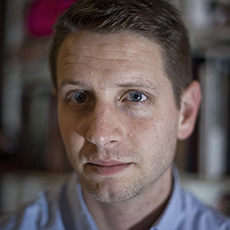 Nate Schenkkan is the Director for Special Research at Freedom House, overseeing Freedom House’s research portfolio outside of its annual reports. He previously served as the Project Director for Nations in Transit, Freedom House’s annual survey of democratic governance from Central Europe to Eurasia, and as Senior Program Officer for Freedom House’s Eurasia programs, covering Central Asia and Turkey. He was the lead researcher and co-author of two Freedom House special reports, The Struggle for Turkey's Internet and Democracy in Crisis: Corruption, Media and Power in Turkey. Prior to joining Freedom House in 2012, he worked as a journalist in Kazakhstan and Kyrgyzstan. He has been published in Foreign Affairs, Foreign Policy, The Washington Post, Eurasianet, World Politics Review, and Russian Analytical Digest.